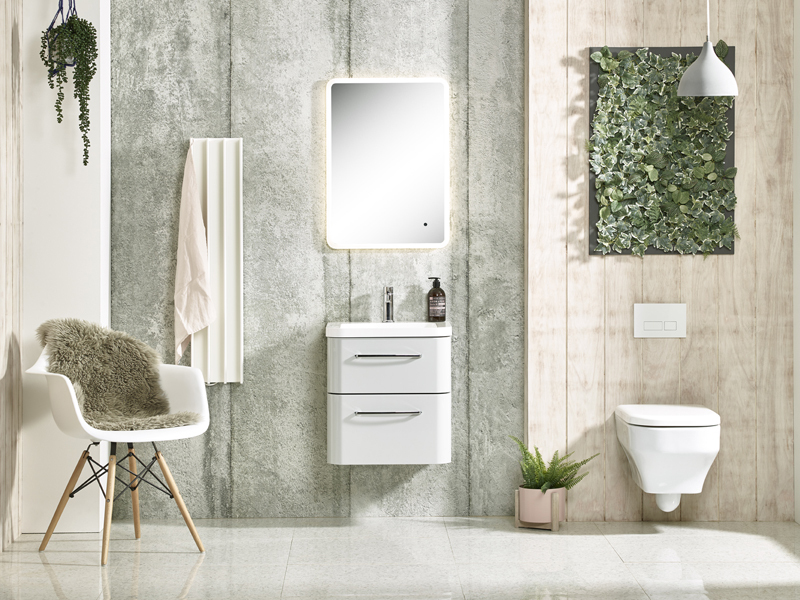 BRAND NEW…Introducing GORDON electric towel warmer. 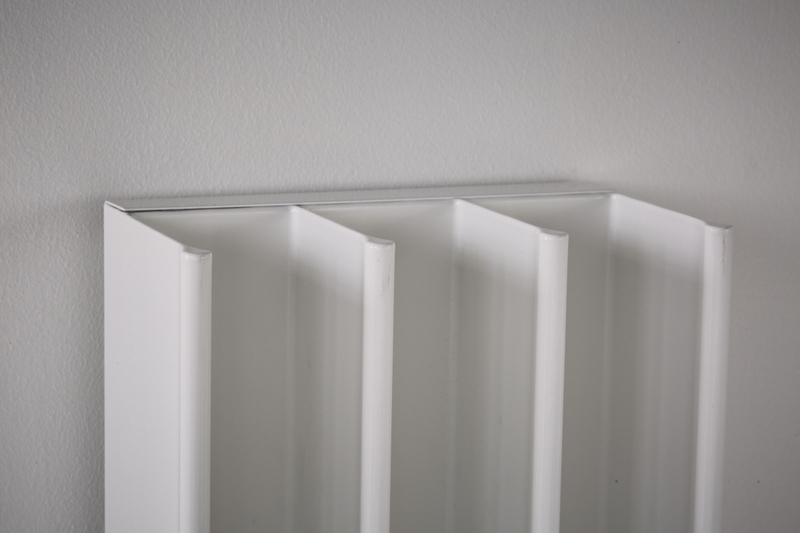 The first towel rail designed specifically to warm and dry your towels in a flash. 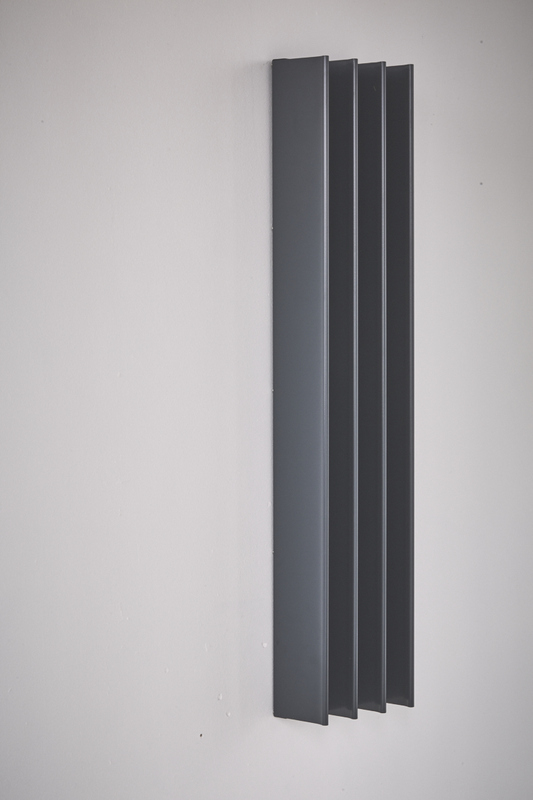 An effective vertical towel rail. 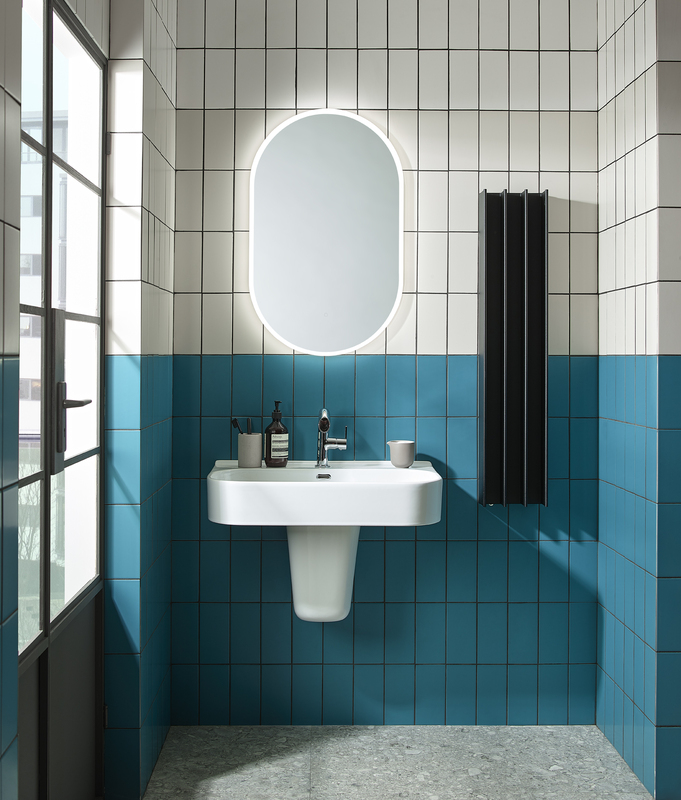 Challenging the conventional horizontal towel rail seen in every bathroom. 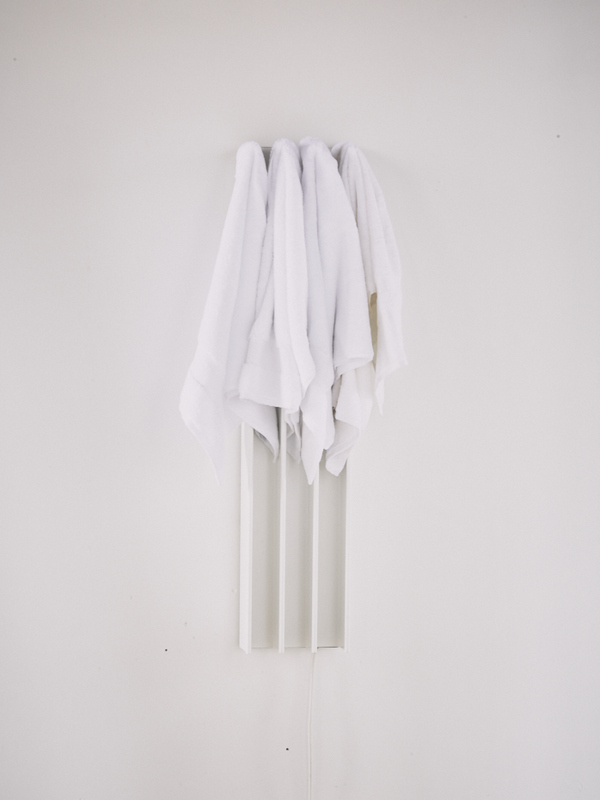 Horizontal, folded towels, do not dry effectively. 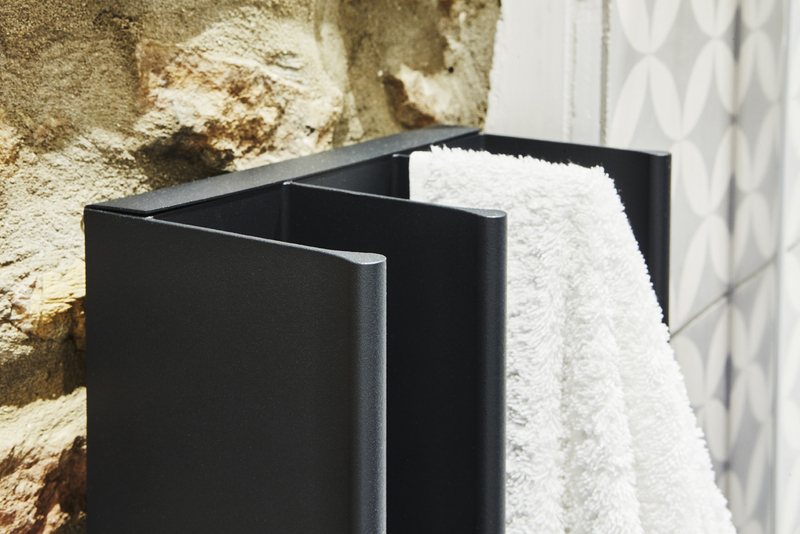 Gordon’s design embraces the way that most of us already hang or dry our towels. 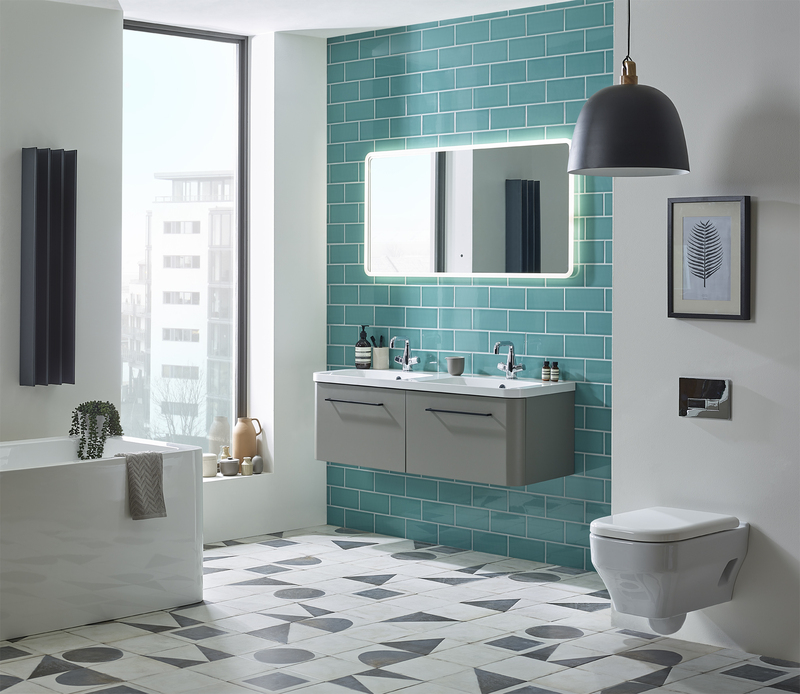 Plus it’s space saving, so great for smaller bathrooms and shower rooms. 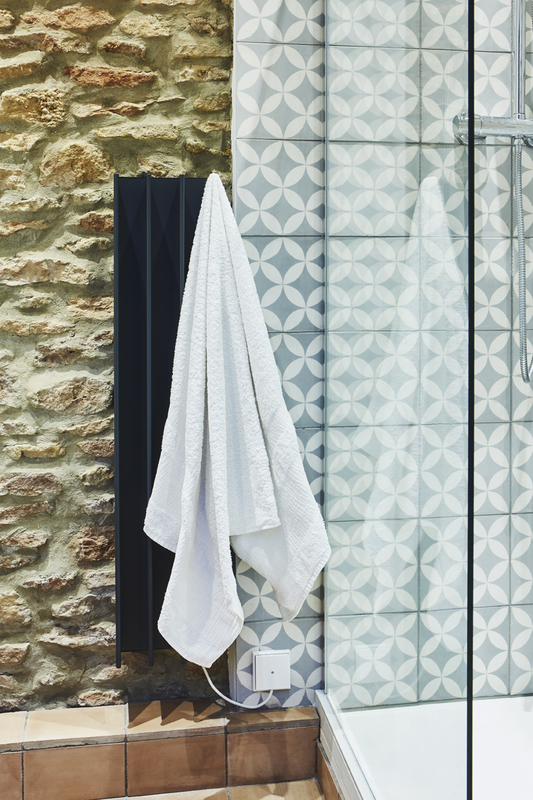 Eskimo’s flash drying towel warmer offers low power consumption, so you can leave it on all year round. 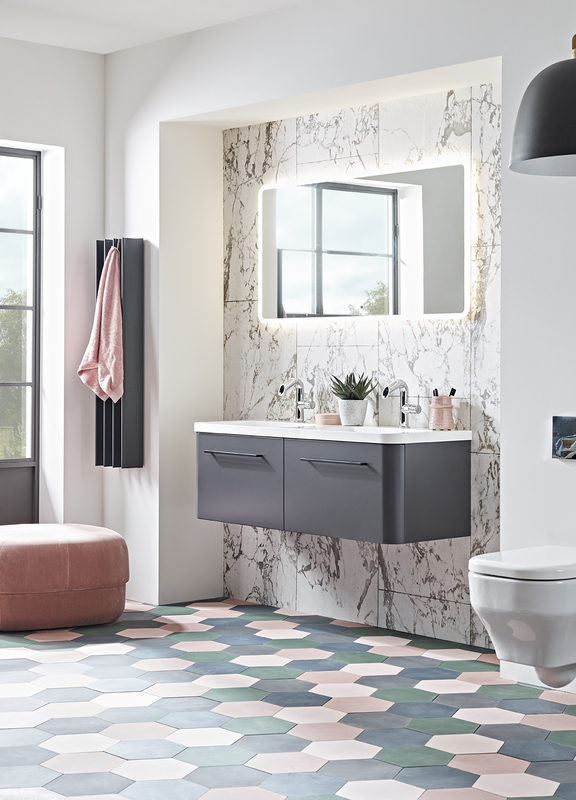 On test, Eskimo’s innovative towel warmer dries towels four times faster than a horizontal towel rail, used in the conventional way. In other words, combined with a timer it uses around a quarter of the power. Gordon is also made from Aluminium. 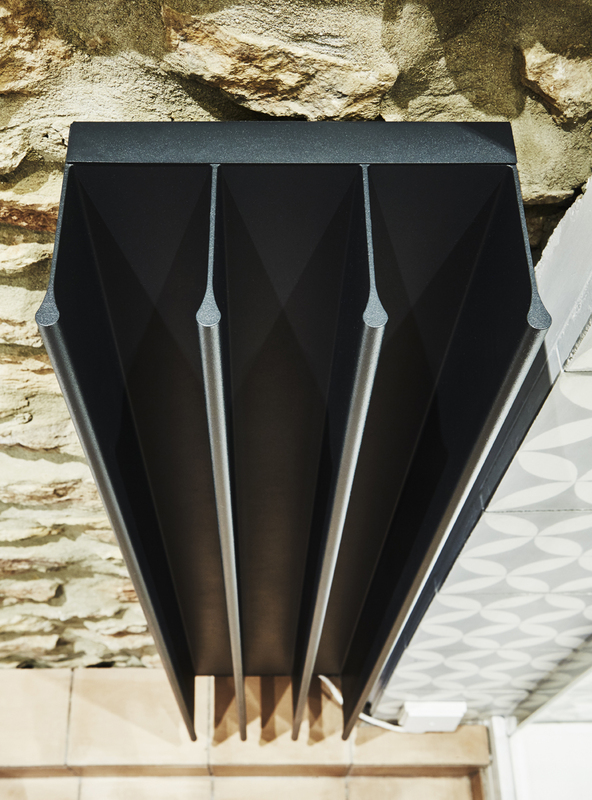 So couple that with low running costs and you’ve got a power efficient product that is 100% recyclable. 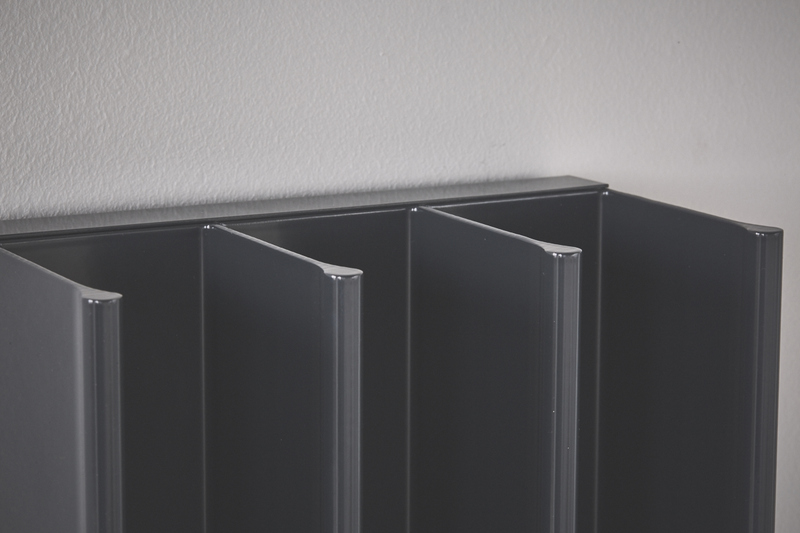 Aluminium has high thermal conductivity and a low thermal mass too. So this gives a very rapid warm up time. 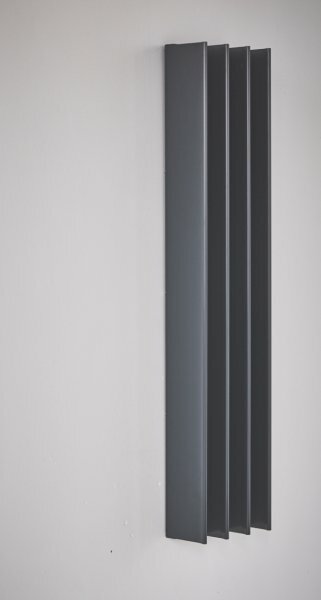 Your Gordon towel rail will reach operating temperature in 1/3rd of the time of a standard towel rail. 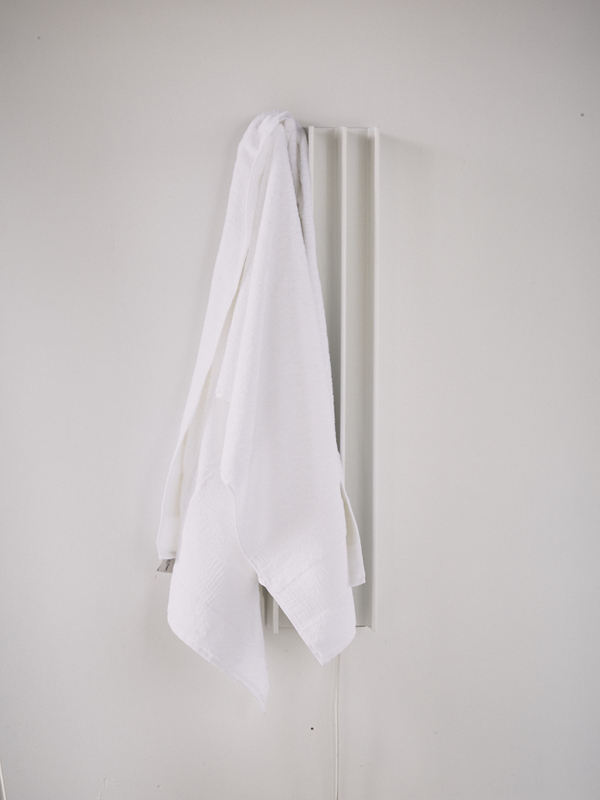 Gordon – flash drying towel warmer. For retail and trade enquiries contact us today.